MASE’s Operations & Maintenance division is responsible for ensuring that our installations and solar assets operate predictably and at peak performance year-round. MASE assures peak plant performance, maximum availability and rapid intervention, backed by bankable guarantees and fixed annual costs. With the largest solar capacity under asset care to date, plants managed by MASE have maximized performance indicators and achieved top returns for investors and solar asset owners. 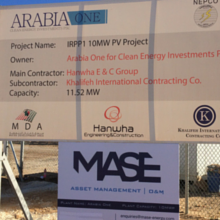 MASE currently operates and maintains a growing number of retail, commercial and utility solar plants, constructed by MASE or others which have been constructed by other contractors. 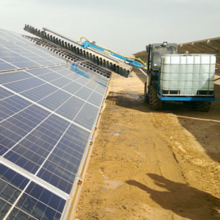 Our operations & maintenance portfolio includes solar plants which have been financed by global development finance intuitions, state-owned solar assets, and solar plants owned by international private and public investment firms. The Operations & Maintenance services undertaken by MASE comprise comprehensive preventive and corrective maintenance, intervention, remote monitoring and periodical reporting as well as in some cases manned security and remote surveillance. For solar asset owners who care about predictable expenses and capped operational costs, we offer comprehensive asset care packages that consolidate operations & maintenance services and day-to-day asset management into one comprehensive approach to solar asset care. Our desert region requires specialized care of solar PV installations no matter their size or location. From small residential rooftop installations to large utility scale power plants our MASE team is highly skilled and uses the most progressive technology to clean solar panels and maintain solar projects.